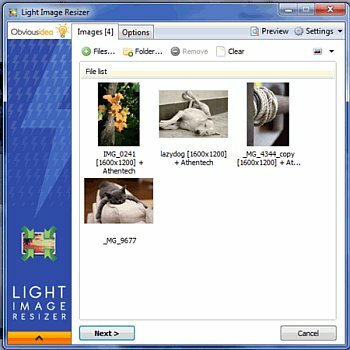 Light Image Resizer 5.1.4.0 Portable » SoftLab-Portable.com - Portable Soft! Resize Photos, resize pictures and resize images – compress, convert, and create copies of your pictures. High quality image resize filters – cubic and lanczos for quality, and linear for speed. Digital frame. Transfer photos and optimize space on digital frames with the Digital Picture Frame Wizard. You can use the resize picture options to resize to the frame’s supported resolution, and add even more photos for viewing!